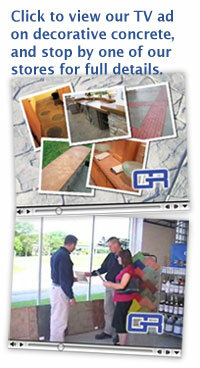 A look at the history of Gierke-Robinson Co.
Gierke Robinson Company was formed in 1919 by E.W.C. Gierke and Arnold H. Robinson. Both men were sales agents for construction equipment and tool companies. Robinson represented several construction equipment manufacturers, including the old Austin Machinery Corp. Gierke was selling oxygen and acetylene cutting and welding tools as a representative of Searchlight Co., a forerunner to Air Reduction Corp., Chicago. It was the beginning of large scale road-building across the country and construction equipment distributors were rare. In 1924, the two men leased facilities in Davenport, Iowa and became true distributors, creating and maintaining their own inventory. Originally, five companies were represented. In 1927, they invested $5,000 and formed Arnold-Ervin Co. as early distributors of General Electric refrigerators and Atwater Kent radios. Two years later they sold the Arnold-Ervin Co. for $25,000, helping the firm survive the Great Depression. The firm grew and prospered and in 1957, Gierke purchased Robinson's interest. Founder Gierke died in 1964 and Robinson in 1969. Glen E. Gierke joined the company in 1949 and became owner of the firm in 1964. Glen E. Gierke, Jr., joined the company in the mid-1970's. Terry Kilburg purchased the company in 2012. Over the years, the company has shifted from heavy construction equipment to light construction equipment. One of the primary focuses of the business is equipment used to prepare, place, finish, saw or cure concrete. The company also has extensive expertise in pumps, mixers, hydraulics and industrial fittings. Branch offices opened in Dubuque, Iowa in 1970, Waterloo, Iowa in 1977, Bettendorf, Iowa in 1989 and Iowa City, Iowa in 1996. The company currently has 35 employees.